This type of bet is only available on European roulette wheels, which have only a single green zero. The American roulette wheel has both single and double green zero pockets. 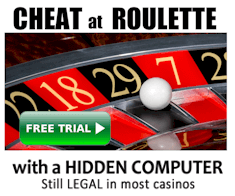 Further details are included in most explanations for how to play roulette. There are essentially two ways to bet on this. Easiest is to use the race track betting area on the table. Not all roulette tables have the racetrack. It is most common in these United States and Europe. However, it is not usually available on the American 00 wheels, and therefore most of The United States of America. The Voisins includes seventeen different numbers. Because there are thirty-seven different pockets on the European wheel, the odds of winning are 17/37 or 45.9% for each spin. When you make this type of bet, it is technically a variety of bets types. If the ball lands on any of these numbers, you get a 9 chip profit. There’s a 5.4% change of this. Also included are slightly more elaborate bet combinations. These include two chips to bet on 0,2 and 3. A win on these profits you 15 units. This is derived from the 22 chips win, minus the 7 chips you bet on other numbers. There are a few other bets included, which are on 25, 26, 28 and 29. The win rate for these numbers is 4/37, which is 10.8%. So there are a combination of bets, with varying odds and payouts. Test how the bets work in this demo play roulette. Elaborate types of bets alone don’t work. The vast majority of systems fail, with reasons explained on our strategy tips page. Essentially most systems don’t even consider why a ball lands where it does. The winning number is mostly determined by variables such as the speed of the wheel and ball, and how the ball bounces. Roulette systems that account for these factors, and other variables that actually make a difference, I called advantage play methods. Many players consider typical roulette systems to be in a different class as advantage play. However, is like the difference between the word system and strategy. Basically they mean the same thing. In the case of advantage play, systems that work involved predicting the sector in which the ball will land. Casinos are aware that sector based bets are a threat to them. For this reason, some casinos will notify the pit boss each time a call bet is made. This includes bets on neighbours, which are made on the racetrack. Ballistic methods utilise the physics of the roulette wheel and ball. The two best-known methods involving ballistics are roulette computers, and visual ballistics. Essentially roulette computers are discrete electronic devices that measure ball and rotor speed, then predict where the ball will land. Visual ballistics does much the same thing, except doesn’t use electronic devices. Instead, the play uses a variety of visual cues and observations. In either case, after the player has determined the prediction, they have a short time in which to place bets. In most cases, the visual ballistics all roulette computer player aims to get predictions when the ball has 4 to 5 revolutions to go. This is because it usually gives the player enough time to bet, and when the ball is this speed, the revolutions and remaining time are most predictable. The limited amount of time to place bets makes the Voisins Du Zero convenient for visual ballistics and roulette computer players. This is because instead of making a variety of individual bets to cover a sector, the player can make one convenient bet to cover a large area around zero. There is a downside though. If the predicted number was twenty-two, then it’s right on the edge of the betting area. The ball may then land on number one, which is still in the correct area, but would be a loss. So the only time and advantage player would use this type of bet is when the predicted number is central in the Voisins Du Zero segment. This would include only numbers such as zero, thirty-two, or twenty-six. These numbers are close to 0 and easily remembered, so the player doesn’t need to learn the layout of the whole wheel. Posted in Articles | Comments Off on Roulette Bots – The player’s best friend… or the casino’s? In the digital age gambling has changed considerably. Card counting has been made more difficult by constantly shuffled decks; online poker makes friendly games far more accessible and there is now an enormous selection of slots games on offer, all boasting outstanding convenience and slick computer graphics. The only game that hasn’t really changed is roulette. You can sit down for a game of Betfair online roulette and experience a game that’s almost the same as the one you get around the casino table. That is… unless you’re using bots. If you or another player are using bots, will that give you a better chance of winning big? First things first, we need to be sure we understand what a bot is. The term can be used to cover a lot of meanings, but the definition we’re concerned with is ‘a piece of software that automatically runs a script on your behalf’. You’ll most commonly come across a bot on the internet having conversations through online chatrooms, their use here is so ubiquitous that it’s not uncommon to see two bots talking to each other. The technology is getting so advanced that Google recently unveiled an AI script so advanced it can even hold a phone conversation. In addition, a number of sites utilise bots as a more intelligent operator of scripts in order to enhance the user experience. But what about roulette bots? How do they help? What does a Roulette Bot do? The main benefit of a bot in any game is that it can automate something you would otherwise need to do manually. A simple use of a roulette bot would be to set a consistent, but complicated, betting pattern that covers different areas with different quantities of chips, quickly and easily. If you have a certain system in mind, having a bot to automate your bets each spin seems like a great investment. Some more astute readers might wonder if you could programme a bot to calculate where the wheel will land using an algorithm. But the pseudo random number generators (PRNGs) used by online casinos are extraordinarily complex and, realistically, you’re not going to find a bot that can crack it. If you see a site advertising that their bot can, it’s would be wise to take their statement with a pinch of salt. This is a tricky question to answer; if you have a complicated strategy you’re hoping to use then a bot can help you to automate the process. In fact, anything that But, if the bot is offering you an instant win, then you should approach the software with deep suspicion. The thing about PRNGs is that it is technically possible to predict where the ball will land as they’re only pseudo-random. They work by generating numbers from a seed number which serves as a starting point. So, if you have the seed number and a copy of the PRNG, you could potentially crack the algorithm but there’s nothing stopping the casino changing the number once they notice. Furthermore, if the bot has been around for any length of time, you would think the casino would have caught wind of it by now and it would be odd for the script to still be working. This might be a little hard to hear, but the guaranteed win bot is a scam. Offering a means to automate your bets is a totally legitimate service, but if the bot has a secret method that ‘exploits’ something in the casino then I’m afraid you’ve probably fallen foul of a con artist trying to get something out of you. But you aren’t alone. Despite their bad reputation, these bots continue to be downloaded for free and used by punters who are sadly unaware of their dishonest nature. With that in mind, you might be wondering what the point of this is: why would someone bother advertising a product to you that they don’t want money for and which doesn’t work? The answer is usually found on the website itself with a list of sites that they claim will ’work’ with the exploit/method/algorithm that they have available. Once you’ve downloaded the bot, all of those casinos will have a new sign-up who, it turns out, does not end up making a lot of money by playing roulette – but once they’ve started playing will be a great addition to the casino’s customer base. 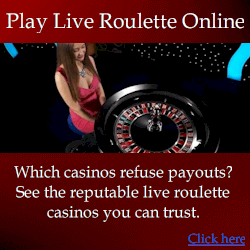 Yes, the most likely role for these roulette bots is as a marketing ploy to try and recruit new players to a casino. Obviously, higher quality online casinos don’t need to stoop to these tactics, they just have a selection of the best casino games, best offers and quality customer service to entice players in the door. That’s not to take away from all bots, as stated previously, if you have a bot that’s purely to automate a complex process to help you test out a system or place bets while you’re away, then go for it. But it won’t enhance your odds of victory unless you’ve managed to find a secret system. The long and short of it is that you don’t need a roulette bot to win. Just luck! Now get out there and start playing.